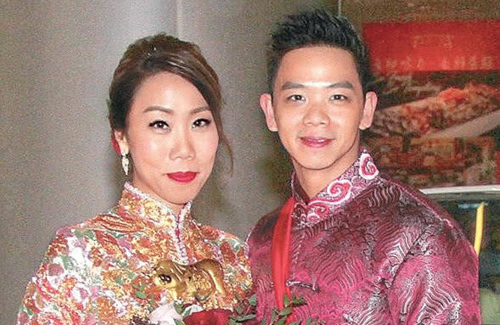 In 2018, Jazz Lam (林子善) and girlfriend Kary Dong (董佩欣) got married in a seven-digit-sum wedding celebration in Tseung Kwan O. One year later, Jazz revealed online that one of his wedding guests only gifted the newlyweds $300 HKD. He called out the paltry amount, and said he and his friend are not on speaking terms anymore. In his social media account, Jazz wrote, “I will never forget the wedding gift money you gave me.” His friend allegedly claims that he wanted to give $500 HKD, but must have accidentally put in the wrong amount instead. Jazz said he does not mind if the other party did not have the money, but it was the fact he messaged him on Facebook to ask to attend the wedding and the result was a cheap cash gift, which made the gesture laughable. Jazz revealed that this guest was actually a friend of his friend and that they weren’t even close. The guest has apologized sincerely and mentioned that he was at fault for not checking the amount before gifting the money. Ironically, Jazz played a groom in Bounty Lady <My盛Lady> in which he and his onscreen partner, Toby Leung (梁靖琪), also were in shock of the amount of wedding gift money they received. I think they both are bad. The guest and the groom. Personally, I would not attend the wedding if I can’t give at least the acceptable amount for the occasion. It also tacky that the groom posted that on social media. One party stooped low and he stooped even lower. I had a guest that showed up at our wedding without being invited. The worst part is she didn’t even bring a gift. She was a sales rep who brought samples to my former employer. That was where I met her. Some people have no shame at all. @dramas4me frankly, if the bride/groom hold a wedding banquet at 6 star venue, they should not be expecting the guests to pay huge red packet. however, the amount given by the guests should be reasonable too. the groom is cheap to embarrass the guest openly. I agree with you. If the wedding is for normal budget people than the guests should be reasonable with their gifts. It would help the couple – hopefully they will break even, but not in big debt after the event. what a shameless guest you had at your wedding. i am curious, where did she sit if she wasn’t invited? To be fair, I have gifted $50CAD/person at a wedding before (years ago). However, I was invited and I only met the groom and bride twice so I didn’t feel like I was obligated to gift a whole lot. Plus, it was the consensus among my close group of guy friends (that was also invited) that it was an appropriate amount to gift. For close friends I had gifted at least $100-200/per head. That’s petty of Jazz. The point of a wedding is for guests to share the happiness, not to make money. Their presence should be enough. It is weird that the acquaintance requested an invite. At least he gave something. Jazz should not call him out in public like this. That is not the Chinese culture, esp. in Hong Kong. People need to pay for their own plates at the wedding banquet. Sorry, I should have said: “That is the typical Chinese culture, esp. in Hong Kong………….. “. @potatochip if it was close friend, then Jazz is on the wrong. But it seems based on the article, the “friend” wanted to come, so Jazz has to invite him, and then being cheap, it likes typical Asian leecher that just want free meal. @potatochip It is different from western culture as the meal that is provided at chinese weddings are banquets with a lot of expensive ingredients so its usually polite to kind of pay for it in the red packet, which is usually £50+ pound here. £100+ if you are close family. If you attend English weddings they might not expect much, but equally their meals are usual the standard affair. Maybe a small buffet or a piece of steak if you are lucky. Jazz is cheap. If you invite stranger, don’t expect much. Wrong to lash out on guest means you are petty & cheap! @tmbern the groom is ridiculous! if he has the means to hold the dinner at a 6 star hotel, it means he can afford. why embarrass the guest on social media? It shows the groom’s poor character. That’s not the way to expose to the public. Anyway he gave 300, whether it’s a mistake or whatever. The whole point was he shared your joy of the marriage occasion. That’s the whole point. Not expecting to make money with your wedding dinner. How cheap. Many of my family members gave away the red packet to charity because they can afford to do that. For Jazz I think he could afford to do that too. Omg! I don’t know what Jazz is thinking why post something like that? That’s your own personal problem does the world have to know about that? You’re just making yourself embarrassed and shamed at least that person doesn’t come with a empty hand. I am imagine now if one of his good friends such as Kevin, Kenneth or Natalie give him only one hundred dollars by accidentally he probably post online about that too. I wonder who’s the cheap one. This happened one year ago why even bring it up? The guest was cheap but Jazz is even cheaper. If he can’t afford a 7-figure wedding then dont pretend to be a big shot and expect his guests to cover his wedding expenses. @passingby2 exactly. so was he expecting to make money from his wedding? if he can’t afford to hold such an expensive banquet, don’t do so. I was surprised he could hold the wedding at such a classy place when he is not even an A lister. Haha, this situation is so familiar. Just attended a birthday party held at a restaurant. An ex-friend of mine showed up late, complaint about he didn’t get the seat he wanted but the next day, he ask the host if he gave her the “envelope” because he “forgot” or “lost” it somewhere. And just to find out it wasn’t the first time. There’s other time where a couple weren’t even close to him & his wife got married and they weren’t invited. His wife called up a mutual friend cried & begging the couple to invite them. The mutual friend end up call the bride & ask her to invite this couple. At the wedding, the couple complained they put the “envelope” on the table but had “lost” it. Don’t know who “stole” it. My friends who sat at the same table felt so embarrassed because they made them feel like they had “stole” their “envelope” man…..
Whats the difference with bridezillas in western countries demanding friends to pay USD1000 for party of a lifetime? Yes friend of friend is cheap but I feel Jazz was unbecoming in his attitude and behaviour. He has cheapened himself by naming shaming and explaining why he is naming and shaming over less HKD200 when he should take the high road and say nothing. Anyone getting married pls don’t expect high ang pow money if you invited the friend or allows friend to bring friends. It only cheapens you. For me Jazz losses for having no class. Cheap. he’s cheap AND ugly – inside and out. I remember my parents keeping note of all the sums of money that we received from the guests during my son’s 1 month banquet and having a laugh at the cheap ones. I wasn’t very happy with this chinese culture of expecting the guests to give decent sums of money as gifts. Should be thankful that guests come to celebrate with you. Jazz has really screwed himself here to act so cheaply as a celebrity..
Close friends of mine would always express whether they made or lost money with their weddings, even when they hold a Westernized wedding. If I’m really close with them, they’ll expose who was cheap lol. Not that I care, but the sentiment conveyed is that they do care about the monetary value of what they received. While it’s nice to be gracious (or just filthy rich) to not put so much emphasis on the value of the gifts, human nature often prevails and judgment dished out. Not criticizing them, that’s just the way it works. Jazz Lam’s mistake was publicizing what we all think when we see cheap guests (& emphasis mine: calling his guest out), which makes him a pariah because we’re supposed to see weddings in a nobler light and not care so much about what we get. But in reality, hosts and guests expect to receive something during the wedding. It’s still transactional, even if it’s not always so tangible in the form of cash or presents. The only exceptions I see are the ones where people’s faith or wealth or exceptional charitable hearts tell others to donate to charity instead. Those I can stand behind. Otherwise, I think most of us fall into the rule. The problem with Chinese culture is that the newly-weds expect to break-even and in some cases even profit from their wedding. There shouldn’t be an expectation like this in the first place. Jazz is obviously very popular because he has so many friends within the industry. This could be a joke gone too far when he rang the guest and the guest felt embarrassed so wanted to exact revenge.. I don’t think it’s just Chinese culture only. I think people don’t talk about it, but they all thinking that way in some way – realistically. Have you ever gone to an American wedding? Often times, some people asked for outrageous wedding gifts (expensive) when they registered for their wedding gifts at stores. @dramas4me agreed. the only problem is not talking about it openly enough, but people always have high expectations. whether it’s as a guest or as the host. i think the story is not correctly reported. jazz didn’t call out his friend in public. it was a private msg he sent via FB but the friend was pissed that jazz made fun of the amount he gave so his friend reported this to the reporters to get back at jazz. while jazz isn’t right to think that people should give him more $$ but his biggest issue is to have met a friend who would stab him in the back for such a small matter.